A rapid transition to renewable energy and increased energy efficiency can help prevent the most damaging and costly impacts to public health. In addition to the pollution caused by fracking as part of natural gas extraction, and the methane leakage along the entire system, Volatile Organic Compounds (VOCs) are present at natural gas compressor stations during construction and operation. Some VOCs are known to be highly toxic. Visit the EPA and NIH sites for more info on VOCs. Some VOCs, such as benzene, formaldehyde, and styrene, are known or suspected carcinogens. Natural gas leakage has been found to contribute to increased levels of air pollutants that cause smog and local health hazards, including an associated increase in morbidity and mortality risks (PSE Healthy Energy 2014). In addition to climate change, studies link methane to increased respiratory problems in humans. 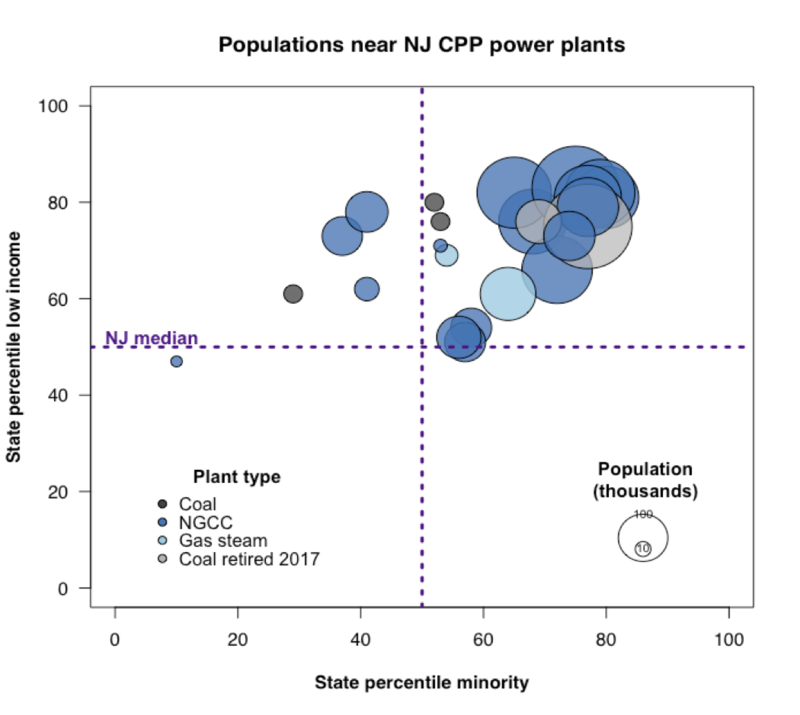 “Power plants tend to be disproportionately located in or near low-income and minority communities, many of which are burdened with numerous additional sources of pollution.” Source: “A Clean Energy Pathway for New Jersey” report, 2017.